This is the all in one piece roof/rear enclosure section. 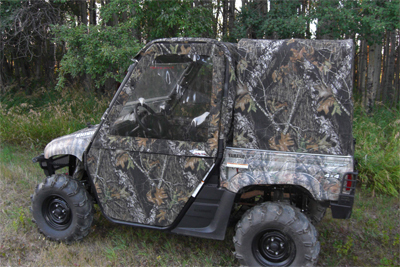 Use this item with full windshield and doors to make a full cab enclosure. It will keep you warm and dry in the winter and wet riding conditions. It will keep dust from entering cab area in the summer. Available in all color options (black,blue,green, camo).